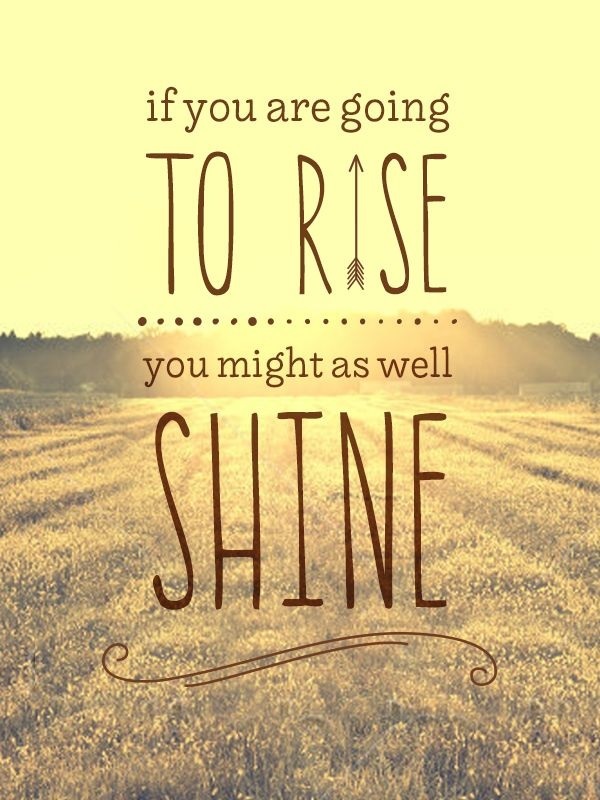 "If you are going to rise, you might as well SHINE!" Have a wonderful Wednesday, folks! Hang in there! Great things are coming!